As a long time color enthusiast I’ve really enjoyed working in black and white over the last few years. I’m not sure what percentage of my photos are black and white, but it seems like about one quarter of the images I publish end up rendered into black and white these days. I photographed this prickly pear hanging over a fence from a laneway in Mildura, a regional city in the far north west of Victoria, Australia. I made the image with my Sony a7Rii camera and a Sony/Zeiss 24-70mm f/4 lens at 56mm. The exposure was made under subdued, late afternoon light at 1/60 second at an aperture of f/16 and an ISO of 400. I wanted to ensure that most of the prickly pear was sharp but, as I was photographing at such a close camera-to-subject distance, I needed an aperture of f/16 to bring most of the prickly pear into focus. Fortunately the shadows were not overly dark, though I did lighten them a bit during post processing. The other thing that helped lower the contrast was the use of a polarizing filter to deepen (i.e., darken) the color of the already blue sky. When it comes to color photography I’m of the opinion that your images need to be, at some level, about an exploration of color. After all, color is an element of composition. Here are some basic points to consider when it comes to making better color photographs. Should the colors in an image be highly saturated or pastel? Should the Hue (i.e., the color of the color) of, for example, a piece of red fruit be relatively pure in color or should it move towards magenta or yellow? 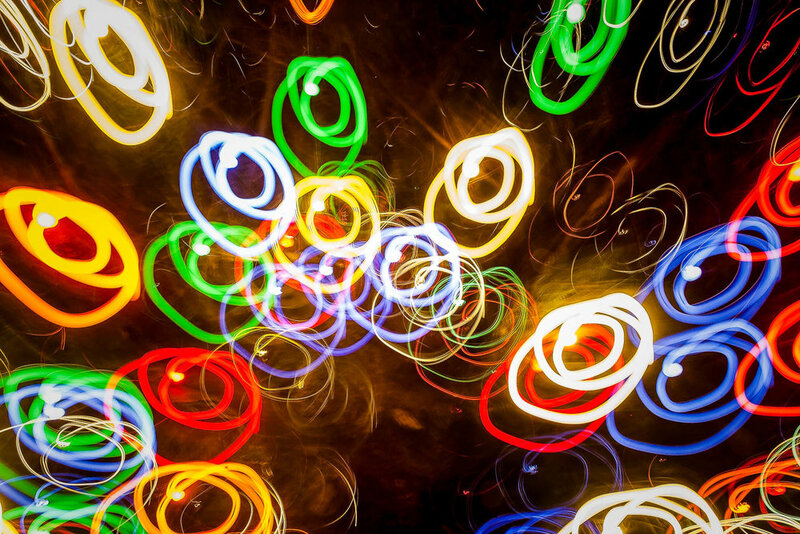 Should the luminosity (i.e., brightness) of a particular color be brighter or darker than that of adjacent colors? 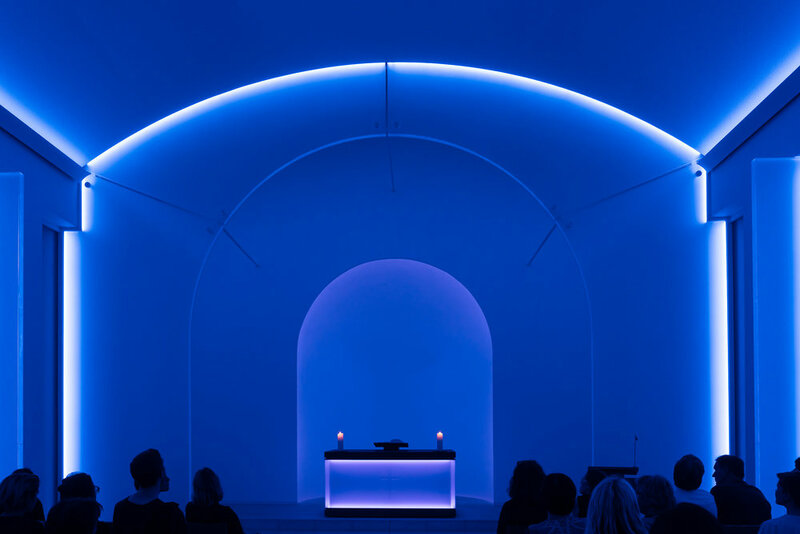 The interior of a chapel, illuminated with bluish light, made for a very tranquil and contemplative scene in a cemetery in Berlin, Germany. There’s the colors that are presented to us when making the photo and then there’s the way we interpret those colors, individually and in relationship to each other, that needs to be considered. And of course there’s the color of the light and the color of the shade and how they effect each other and the rendering of subjects in those parts of the photo. Color photography is, by far, the most popular form of photography. How moving those colors in one of several directions (i.e., Hue, Saturation and Luminosity) during post processing can affect the visual impact of the photograph. It’s not enough to simply make a photograph that just happens to be in color. Let color be one of the primary forces that drives the choices you make in relation to subject, lighting, composition and post processing. If you do the quality and emotional impact of your color photos will improve significantly.